Pollinators play an essential role in healthy urban ecosystems. 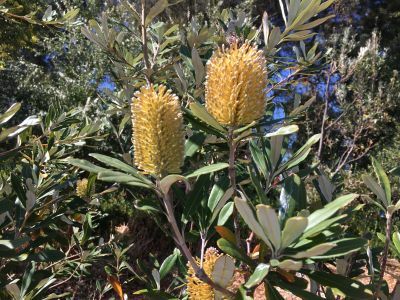 Help us to find and identify the pollinator species living in Westgate Park. 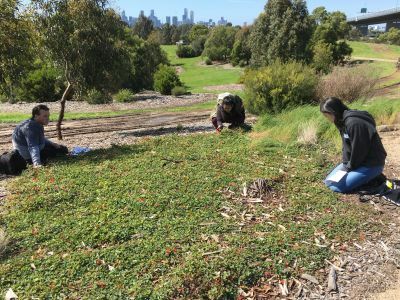 The City of Melbourne is partnering with the Friends of Westgate Park and the National Environmental Science Programme – Clean Air and Urban Landscapes Hub to learn more about the pollinator species living in our city. 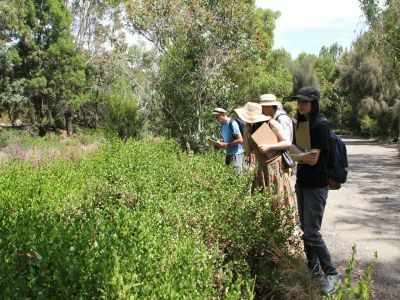 A network of 'pollinator observatories' has been established at Westgate Park. 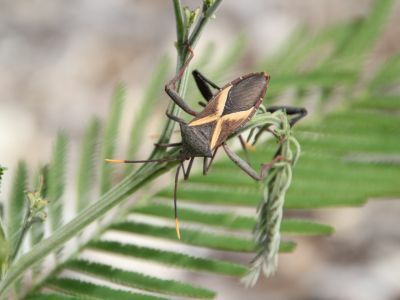 Citizen Forester volunteers are invited to help us document the ecological interactions between plants and pollinators at these observation stations. 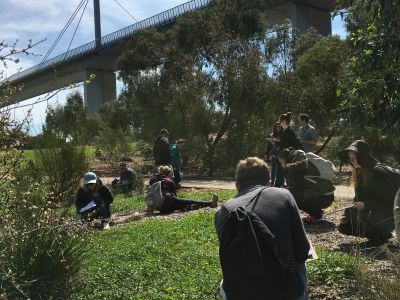 The data collected during this activity will contribute to our species database and help scientists understand and protect pollinators in the urban environment. Start at Port Education Centre and finish at Westgate Park. This activity is open to all Citizen Foresters. No previous experience or knowledge is required. Volunteers who register for this activity will be required to attend a data collection day at Westgate Park on Sunday the 22 April, 2018. The day will be divided into two sessions. Please note that volunteers will be required to attend both sessions. 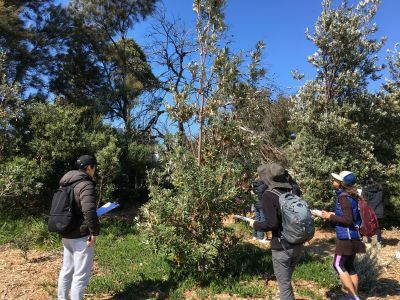 In this training session, Dr Luis Mata will introduce volunteers to a ‘Protocol to record ecological interactions between plants and pollinators using timed surveys’ and a ‘Visual field guide for the identification of targeted pollinators’. These documents will be discussed in detail and your questions about the field protocol and species identification will be encouraged. A handout questionnaire will test your capacity to successfully complete the field protocol and accurately identify the targeted insects. In the data collection phase. the workshop will move into Westgate Park to visit the ‘spring’ pollinator observatories. We will work with the tools just learned in Session 1 to identify pollinators present in the park. 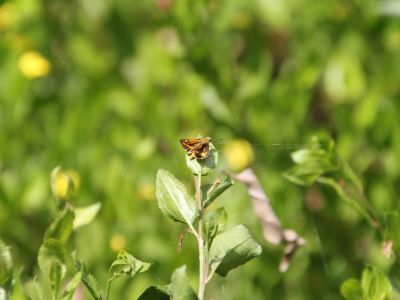 You can register for the Autumn Pollinator Observation workshop via the Eventbrite web page. How do you get to Westgate Park? Please note that Session 1 (training) will be held at the Port Education Centre on Lorimer Street, approximately 10 minutes walk from the main entrance to Westgate Park. The day will conclude at Westgate Park. Westgate Park is located in Fishermans Bend, beneath the Westgate Bridge. The main entry to the park is on Todd Road, where there is a car park and on-street parking. You can also access the park from Wharf Road. Bus 235 from Queen Victoria Market/Franklin Street or Southern Cross station to end of Wharf Road (hourly on weekends). 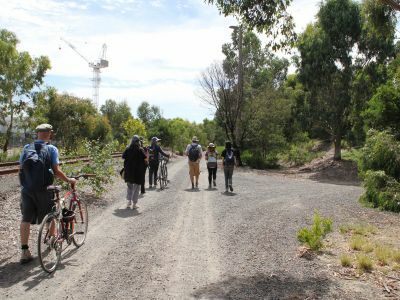 get off the bus at Defence Science and Technology (DTSO) and walk across the railway lines to the Port Education Centre on Lorimer Street. Free car parking is readily available on Sundays inside the Port Education Centre and on Lorimer Street. Please note that the Port Education Centre is approximately 1 hour walk from Southern Cross Station. Please consider the conditions and dress appropriately, including sun and rain protection. The session will involve several hours outside in the park, so sunscreen, a hat and long sleeves are recommended. Comfortable, closed shoes are recommended for data collection in the Park. Please bring your own water bottle. Friend of Westgate Park aims to avoid the use of single use plastic. Some snacks between sessions provided. Note that there are no shops open nearby on a Sunday. What is a pollinator observatory? Where can I learn more about the Providing for Pollinators Project? A pollinator is an animal that moves pollen from one plant to another. This pollen fertilises the plant, causing the plant to produce fruit or seeds. 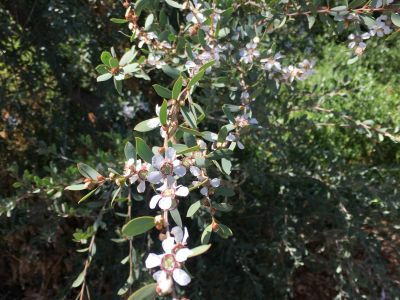 Without pollinators, many plants are unable to reproduce. Pollinators are essential for healthy ecosystems. Well-known pollinators include bees, butterflies and birds. A pollinator observatory is a plant or group of plants that pollinators are attracted to. Pollinator observatories provide more reliable opportunities for sighting pollinators than random observation. More information about this research project can be found on the Friends of Westgate Park website.